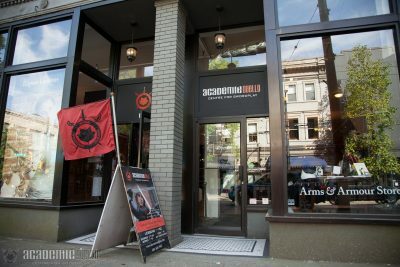 Downtown Vancouver: Introductory and ongoing Mastery Swordplay courses; Stage Combat and Archery Workshops; Knight Camp. Academie Duello curriculum delivered by certified Academie Duello instructors. Distance learning groups facilitated by certified Academie Duello Study Group Leaders. Interested in starting your own affiliate school or study group? Read more about our certification program.